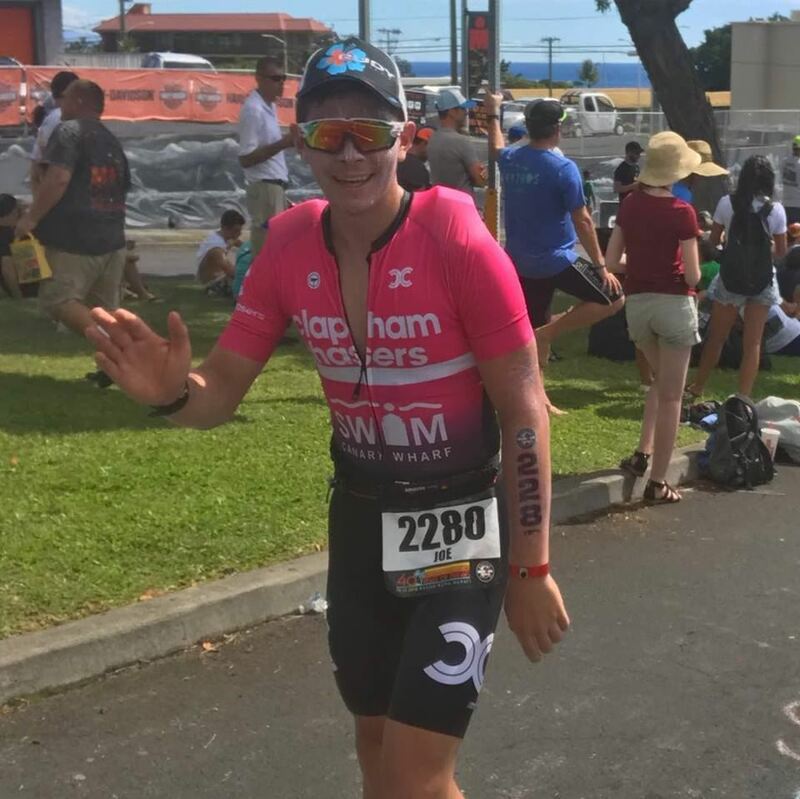 If you are planning on becoming a triathlete, or are relatively new to triathlon and want help with a structured training plan, then this is for you! The Novice Triathlon Programme is a 12 week training plan, designed and led by club coaches and triathletes. It's aimed at anyone from complete novices who maybe have a little experience in one or two disciplines of triathlon - or even some who have no prior experience in any - through to people who may have completed a handful of triathlon races recreationally, but are looking for a more structured training plan to follow. Each year the 12 week training plan leads up to preparing you for a specific race, to give you the opportunity to put your skills into practise! The Thames Turbo Sprint Triathlon Race 1 is a very popular race run by a local club, and is recognised by British Triathlon as being one of the best events in the country. The swim is in the heated Hampton Lido, followed by a bike course along a fairly flat stretch of the Lower Sunbury Road, and finishing up with a run and finish set in Bushy Park. It is a very beginner friendly race, and offers a great early season benchmark. It usually sells out so sign up now! We then extend the Novice Triathlon Programme after the Thames Turbo for those that wanted to continue, offering an additional advanced training plan to prepare participants for their first Olympic distance triathlon. 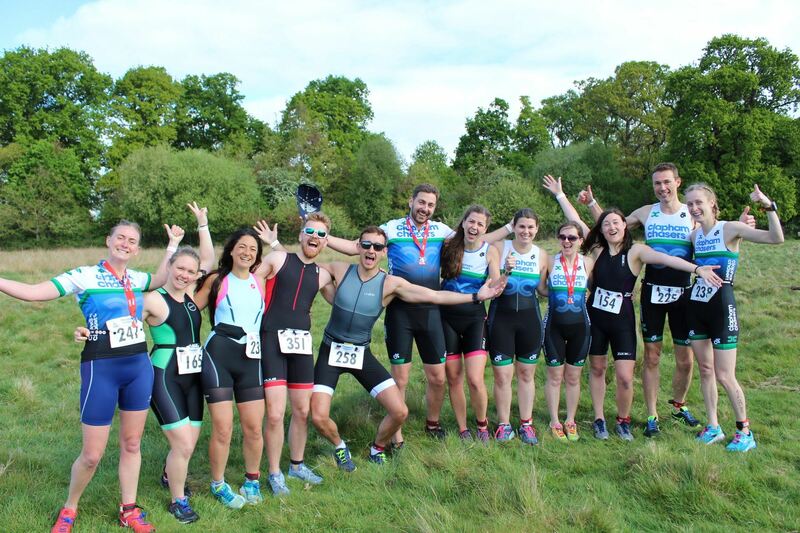 Thorpe Park Standard Distance Triathlon is an event co-hosted by the Clapham Chasers, offering a lake swim in Thorpe lake, an undulating bike course on the local roads between Thorpe Park and Chobham, and a run that will bring you through the theme park itself. Of course, you are not obligated to do these races! Many who have participated in the programme in the past have already had a specific target race in mind, and it's easy to use and adapt the programme if you have a target race at similar times. The Programme is run at the wonderful cost of FREE for Clapham Chasers club members. If you are not already a member, the basic level of membership is £23 per calendar year. Even if you do nothing else with the club that is pretty good value! Note that where facilities and specialist coaches have to be hired for sessions (mostly swimming for lane/coach hire) there may be a payable fee per session - our coached swimming sessions are currently £5 per session. Joe Spraggins - Programme Head Coach. Joe is the Head of Triathlon at the Clapham Chasers. Last year he raced at the Ironman World Championships in Hawaii and won the club championships at the Brighton triathlon. Ed Harman - Programme Assistant Coach. Serial adventure-merchant Ed joined the Chasers last year after meeting some of us at a local race. 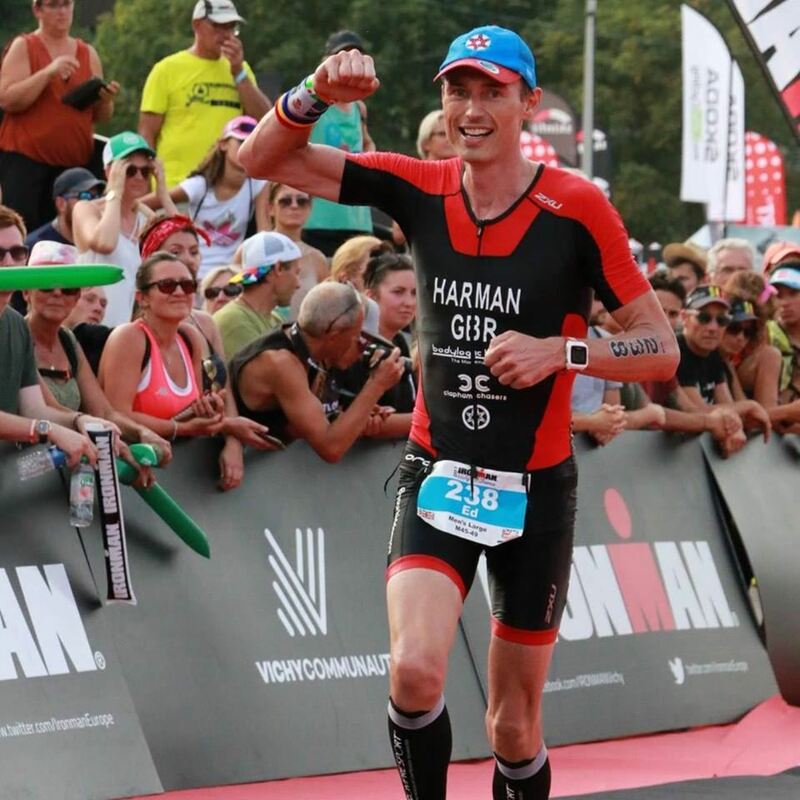 Having climbed Kilamanjaro, cycled from London to Paris in under 24 hours and more, Ed has turned his eye to Triathlon in 2016 and competed in Ironman Vichy in 2017 after taking part in the Novice Triathlon Programme. This will be taking place at the Hagan & Hyde, on 5th February. We'll be kicking things off at 8pm, so please start arriving from 7:45 to grab drinks and make yourselves comfortable. Myself and Ed will be giving a more in depth explanation of how the programme works, and will leave time for a Q&A at the end so we can answer any questions you might have. There's no need to register in advance, but we will take a note of your names and email addresses on the night. If for whatever reason you can't make it on the night and haven't already told me, don't panic - just drop me an email/Facebook message and I'll make a note of that. What can I buy to prepare in advance? At a minimum, all we ask is that you have enough to race a triathlon - whether you buy or borrow is up to you! Swimming - goggles and a swimsuit. Cycling - functional bike and a helmet. What can I do to prepare in advance? There is no minimum standard to join the programme, so don't panic! It will help if you can swim 100m continuous front crawl but it is not a necessity. If you're a more confident swimmer, knowing your 400m front crawl time will be helpful when it comes to placing you in an appropriate lane for swimming sessions.